Renovation and redesign of the Overgas corporate blog . 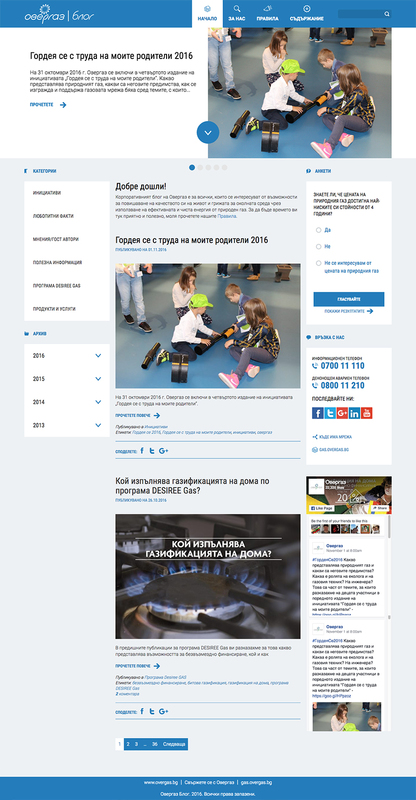 The project is following the renovation of the corporate website of the company – gas.overgas.bg. We used the same graphic, aesthetic and color elements to emphasize the connection between the two sites. Mobile-friendly, the blog serves its purpose to complement the content of the corporate site with useful articles for customers, who are keen on ecological life and energy solutions. We added active links between both sites.